Goodnight Macaroon features a variety of apparel options. You can begin your first visit to this clothing retailer by checking out sections dedicated to new arrivals and flash sales. You can also use this website to pre-order items. There is also a Shop Instagram section of the site that can be interesting to first-time visitors. 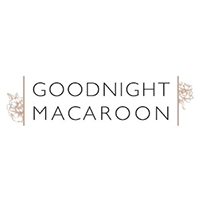 In terms of specific items for sale at Goodnight Macaroon, you can choose from such items as denim, dresses, coats and jackets, jeans, jumpsuits and rompers, leather, trousers and leggings, shorts, and even skirts. A good example of their flash sales involves a sale every Tuesday, in which you can purchase items for fifty-percent off. For most up to date offers check out Goodnight Macaroon on Facebook and Twitter or contact Goodnight Macaroon Support for any questions.